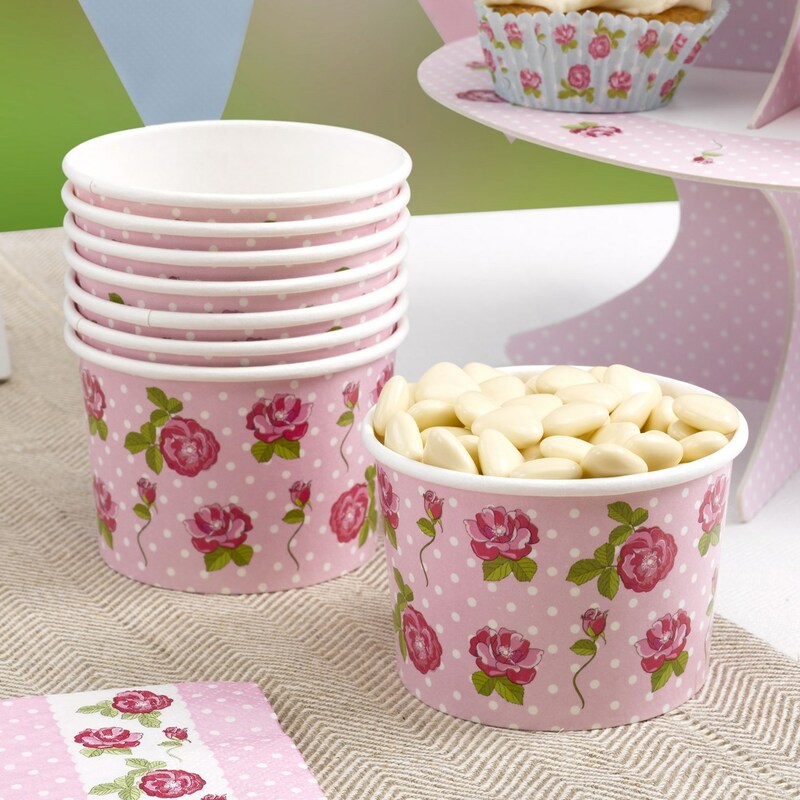 DescriptionWith a delicate pink and polka-dot background, complimented with a pretty rose motif, these lovely tubs are a colourful way to serve ice-cream, jelly, sweets or savoury nibbles, and co-ordinate with the other tableware pieces in the Vintage Rose range. Each pack contains 8 Paper Treat Tubs. With a delicate pink and polka-dot background, complimented with a pretty rose motif, these lovely tubs are a colourful way to serve ice-cream, jelly, sweets or savoury nibbles, and co-ordinate with the other tableware pieces in the Vintage Rose range. Each pack contains 8 Paper Treat Tubs.